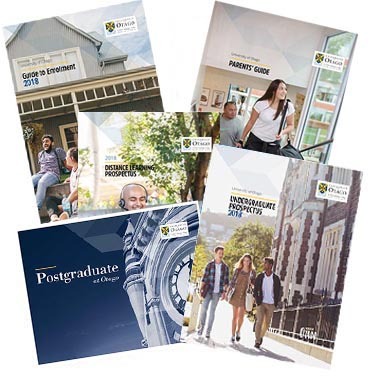 The University of Otago has a number of publications available for future students and their families. They outline the many opportunities that await you at Otago and help you make well-informed decisions. Please answer the questions below if you would like the publications posted to you.